L10 Series Choices from Zebra. Get Tough with Your Tablet. Get tough with your tablet. Experience Zebra’s L10 Series’ choices. A tablet provides a great mobile tool. The larger screen allows for better visibility than a smartphone. When you’re using any mobile devices in a rough workspace—like a warehouse, plant, or in the field—drops, kicks, tumbles, dirt, dust, and even water inevitably attack your devices. But it’s ok to get tough with your tablet. 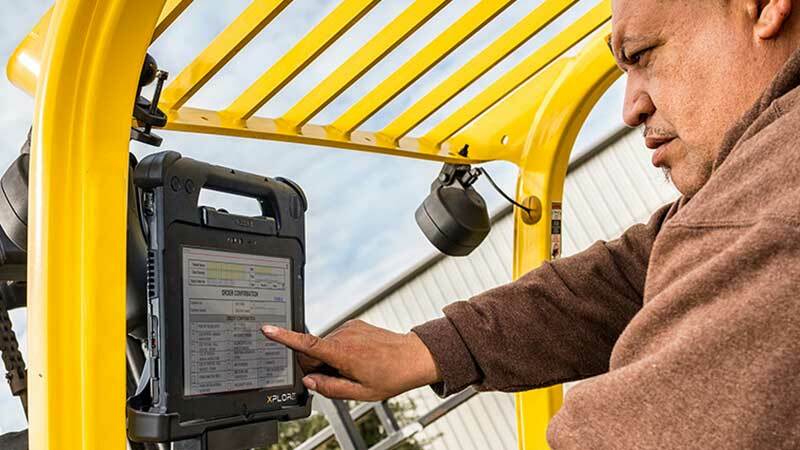 Avalon Integration wants you to experience Zebra’s L10 Series choices in rugged tablets to see what you should expect from industrial-grade quality. 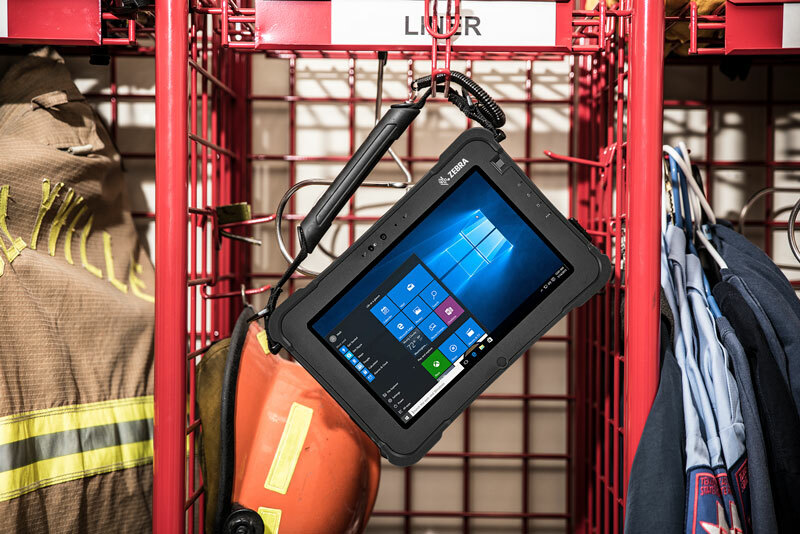 Last year, Zebra acquired a complete Rugged Tablet Library with a complete portfolio of purpose-built enterprise devices. 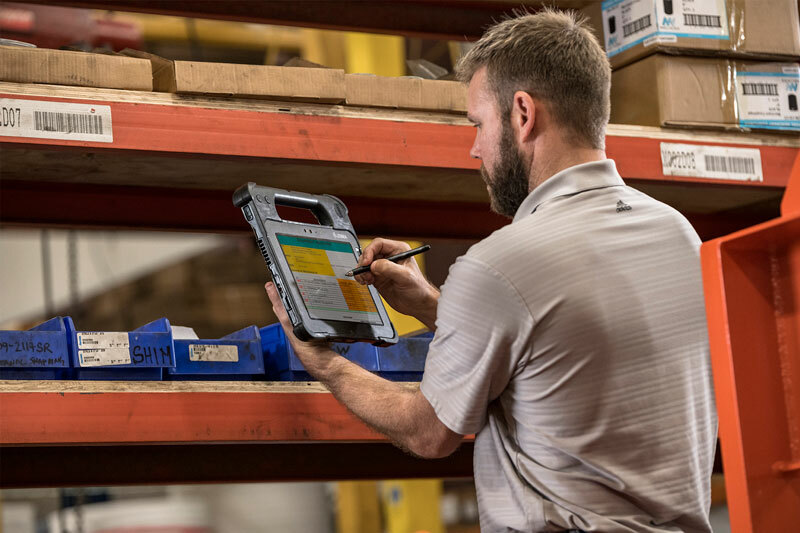 The move represented a seamless fit, as Zebra Rugged Tablets has earned a reputation for intuitive, ultra-rugged devices that are engineered for unrelenting performance—which also describes the Zebra product line. As a long-standing Zebra Premier Partner, we were excited with the news that we now have even more solutions for our customers! 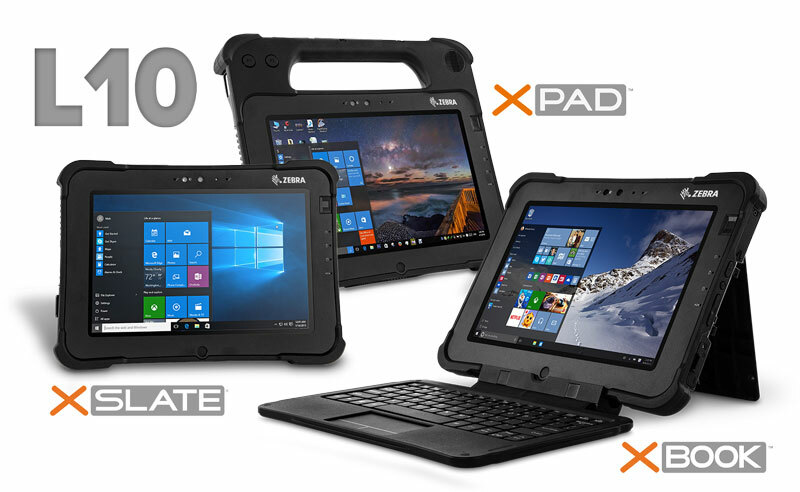 Let’s take a look at the L10 product platform, which offers a unique array of time-tested powerhouse tablets: the XPAD L10, XBOOK L10, and XSLATE L10. The XSLATE L10 is a lightweight tablet but incredibly tough. The 10-inch slate-style tablet is easy to take with you, from the front office to the warehouse, loading dock, and into the field. The XPAD L10 has a built-in hard handle, an ergonomic enhancement that adds to the portability. Choose the optional barcode reader in the handle for another smart feature. Then, grab and go! The XBOOK L10 2-in-1 transforms from tablet to laptop with a companion keyboard, ideal for the user who prefers the familiarity of entering data this way. Each tablet in the Zebra L10 Series meets the tough MIL-STD 810G and features IP65 sealing, which protects against dirt, dust, and moisture. All three models easily passed a 6-foot drop test. C1D2 certification, which allows a device to be used in potentially hazardous settings, is pending. The XSLATE, XPAD, and XBOOK also share a critical security feature. The removable SSD allows each user to protect their data. The integrated fingerprint scanner and smart card/CAC reader options add another layer of protection that’s important for any mobile device. The L10 Series is engineered with 8th generation Intel Core processors and 4G LTE to deliver rapid-fire performance—up to 600% faster download and 300% faster upload speeds than previous models. Also Coming soon the L10 has received 3rd party certification that it is C1D2. The integrated View Anywhere display provides easy viewing in any condition—like bright sunlight. The View Anywhere display also has the option of adding auto-sensing glove/wet touch technology, and an active digitizer. Avalon Integration can custom configure any of the Zebra rugged tablets to suit your specific needs. Every member of the L10 product family uses the same accessories, so no matter which devices you use in your business, the accessories support all of them. From the extended life battery (24-hour charge) and charger to the industrial and vehicle docks, they are designed to fit every L10 form factor. You don’t have to compromise comfort and convenience for computing power in a tablet. Talk to us at Avalon Integration about a demo of the Zebra L10 tablets.